Contaminated dirt was potentially used to fill demolition sites across Detroit and is the focus of a widening federal criminal probe of the city’s demolition program, multiple sources familiar with the investigation told the Free Press. And in its first public acknowledgement of the probe, the Michigan Department of Environmental Quality confirmed late Thursday that it is aware of the nature of the investigation and the “potential use of I-96 soils as backfill in residential areas” in Detroit. Separately, one contractor, city officials confirmed late Wednesday to the Free Press, was recently ordered to dig up dozens of sites across the city that were filled with “unverified backfill” dirt. The city said Thursday a review of the company is “ongoing and may result in additional sites” being identified. However, the exact number of potential sites where unverified dirt has been used overall is not yet fully known, sources said, raising questions of whether there’s a potential environmental impact. But Nick Schroeck, director of the University of Detroit Mercy’s environmental law clinic, pushed back against MDEQ’s stance. 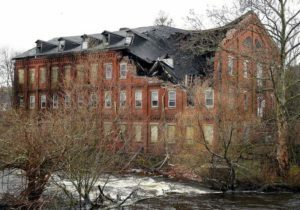 However, the EPA said that in 2014 it worked with the city and the MDEQ to “enhance demolition practices,” including the program’s backfill sourcing and testing. City officials said due to testing performed by environmental consultants, dirt from the I-96 road construction project and the Little Caesars Arena site has been deemed “not suitable for residential use” and has been prohibited from being used. It’s not immediately clear when that testing occurred. “Those 7,000 cubic yards had slightly higher than normal readings for naturally occurring arsenic and, while not hazardous, (it) was given special consideration to where it was moved,” Cross said, adding that the soil was used in two areas within the scope of the I-96 project. If companies obtain backfill materials from a commercial or industrial site, laboratory testing must be conducted and results must be approved prior to use, according to the Michigan Homeowner Assistance Nonprofit Housing Corp.’s Blight Operations Manual. Contractors have said that increased scrutiny and the investigation of the program’s dirt usage has made it harder to obtain large amounts of backfill to use at sites. Detroit Charter Commission member and local activist Joanna Underwood, who has been a longtime critic of the Detroit Land Bank, said she’s concerned about the potential impact on the community. “Any time we become aware of such violations we take immediate action and we welcome specific information about any instances we may not be aware of,” Farkas said. Meanwhile, the MHA told the Free Press late last year that its office has been aware of SIGTARP’s review of the program for a few years. “It’s our understanding that dirt, like any other facet of the program, may be among the items under review,” MHA spokesperson Katie Bach said via email. The federal probe has long been shrouded in mystery since it was reported in the fall of 2015 that demolition prices had risen as much as 60 percent under Duggan’s administration. The city’s demolition program is managed by the Land Bank and the Detroit Building Authority under a structure Duggan put in place after he was elected in 2014. 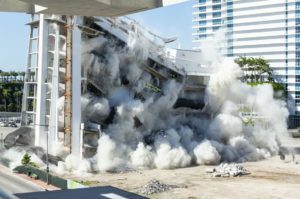 The Free Press previously reported that suspicions of bid rigging arose in the summer of 2016 during a forensic audit of the demolition program performed by two firms hired by the state — Holland & Knight and Ernst & Young. A state official later said in 2017 that it “didn’t see any bid rigging.” The suspicions coincided with a three-month suspension of the city’s demolition program imposed by the U.S. Treasury. The Free Press interviewed multiple sources for this story who have been close to the investigation but requested anonymity because they haven’t been authorized to speak publicly. One source said federal authorities appear to be “filling in the blanks” as the investigation heats up. MHA said Detroit put a new dirt tracking system in place late last year to “help better document the dirt being used at demolition sites.” Emails reviewed by the Free Press indicate contractors started using the new platform system mid-November. “MHA supported the guideline changes because they made sense for the continued success of the program,” Bach said in an email. However, the city downplayed the changes, saying they weren’t in response to the ongoing investigation and that the overall policy has not changed since 2016. “As is our policy, each contractor had to pay for the cost of removal, replacement and proper disposal of the unauthorized fill,” the city said in a statement. Officials confirmed that it had identified at least 34 individual demolition sites where “unverified backfill” was used. DMC didn’t immediately respond to a request for comment. Along Auburn Road on the city’s west side between Joy Road and Tireman, the Free Press visited at least four open holes. Derrick Pratt, who said he moved from Saginaw to Detroit about five years ago, said he fell into an open hole at 8629 Auburn next to his home last week. Pratt said he has young children in his home and he’s always careful to make sure they don’t slip into the muddy hole. But for Underwood, who lives in the area, that assurance isn’t enough. Underwood recently started posting a series of Facebook Live videos to document the holes she finds across the city.